In April 2017 Moxhams received an exciting email for a complete AV install. 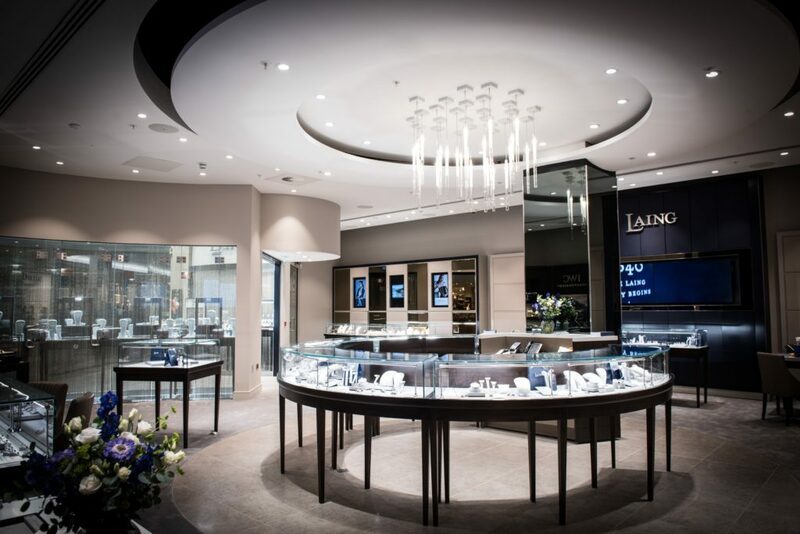 This was for Laing’s new jewellery shop in Southampton’s West Quay Shopping Centre. After speaking with the client and discovering more about the finish they hoped to achieve, Moxhams began searching for the perfect solution for the project. Gaining floor plans was a major step in the project as this meant Moxhams could begin working with Yamaha and TrouDigital to design the perfect system for the store. Using Yamaha CISSCA’s software, Moxhams were able to plan for 100% coverage throughout the store. 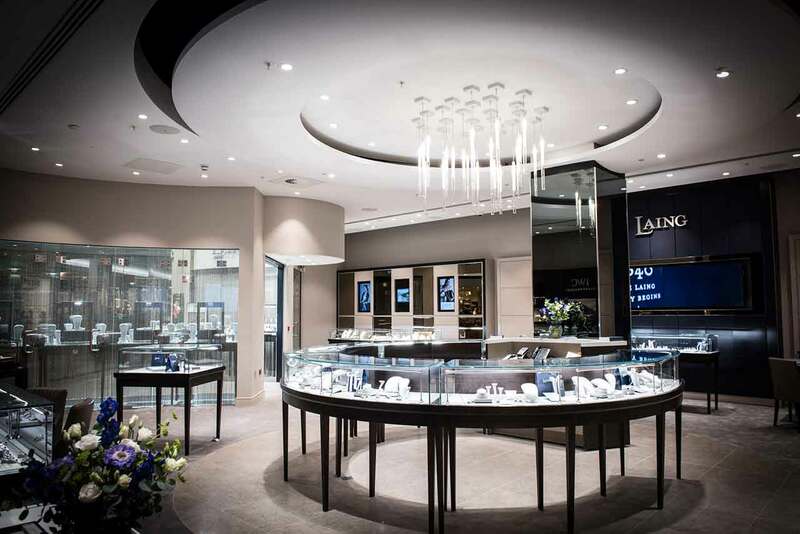 Using ISSCA ensured Moxhams could find the best experience possible for the stores customers. After researching in to different products, Moxhams chose Yamahas VXC5f ceiling mounted speakers, powered by the XMV4140 Amplifier. The MTX3 Processor allowed full network access to the system enabling full control over the system. This allowed Moxhams to apply correct EQ and dynamic variation across the zoned areas. This gives a comfortable and great sounding experience. For the Digital Signage, Moxhams contacted Mario from TrouDigital after working together on installs and events previously. Inside, the store three visual display areas, these consist of; three screens all linked, two screens linked and three single independent portrait screens. 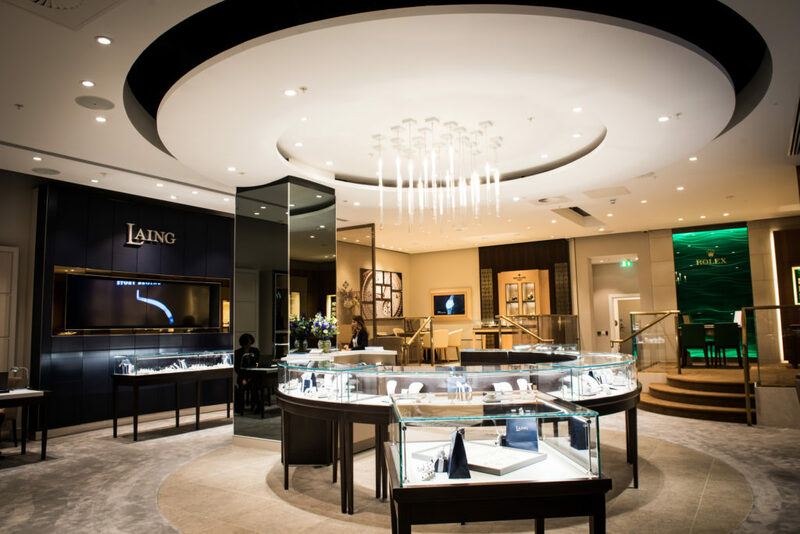 Moxhams considered many options and narrowed this to either Christie’s 24/7 LED tiles, or Philips 55” and 32” LED displays. Afer much research, Moxhams decided on the Phillips monitors. 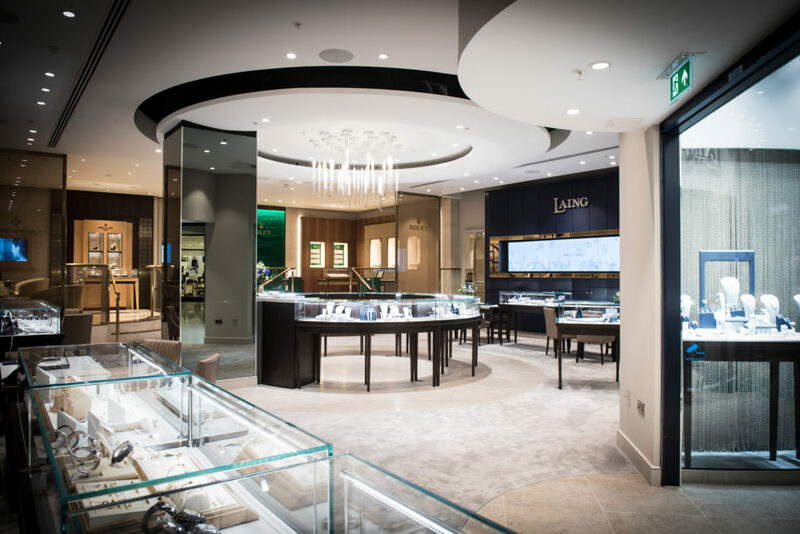 This was due to the ease of using TrouDigital’s system, Laing were able to create content to fill the store with stunning 4K images and promotional material. The feedback received from Laing has been great and we wish them all the best in their new home.